Dan Lucarini It's Not About the Music! It's Not About the Music! The subject of worship is at the same time both intensely personal and exceedingly public. These days, hardly anything is as sensitive as a discussion on how one thinks we should worship God. 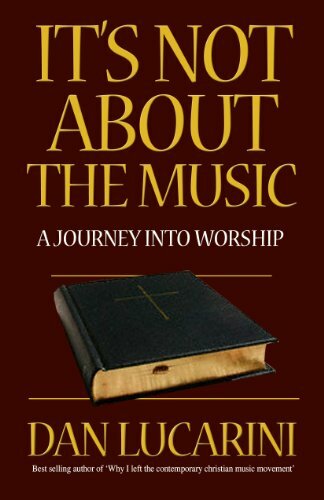 In this new book, a sequel to Dan Lucarini's first title Why I left the contemporary Christian music movement' - the author takes a close look at what God Himself asked us to do for Him when we worship. If you are interested to learn more about worshipping God beyond the music; if you're a refugee from the worship wars; or if you're simply curious why someone would do such an about-face from the accepted norm of modern worship'; please join the author on a journey into worship. And discover why it's not about the music'!